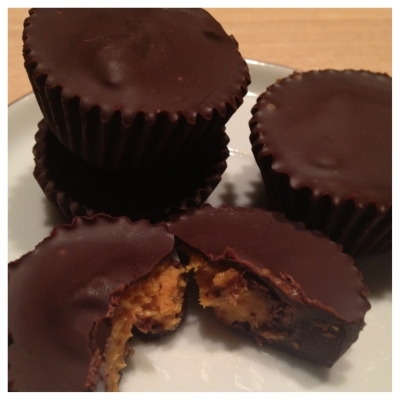 Now these are not the typical Reese's I make because I added pumpkin but you can just ditch the pumpkin if you aren't interested in the pumpkin flavor! There is more fat and more carbohydrates in my homemade version but there is also more protein than the traditional Reeseâ€™s. But in this case the carbohydrates and fats come from much healthier ingredients. Place in freezer to set for about 20 minutes or until chocolate is hardened.